A fridge or refrigerator that’s not working well may need immediate service to prevent the food from spoiling. Most folks usually keep perishable food products in their fridge because; the fridge is a perfect system to maintain the freshness of the food. A fridge is a great system for all different types of meats and proteins. There are many different types of fridges in the market and some are big and some are small. There are commercial fridges and there are residential fridges. 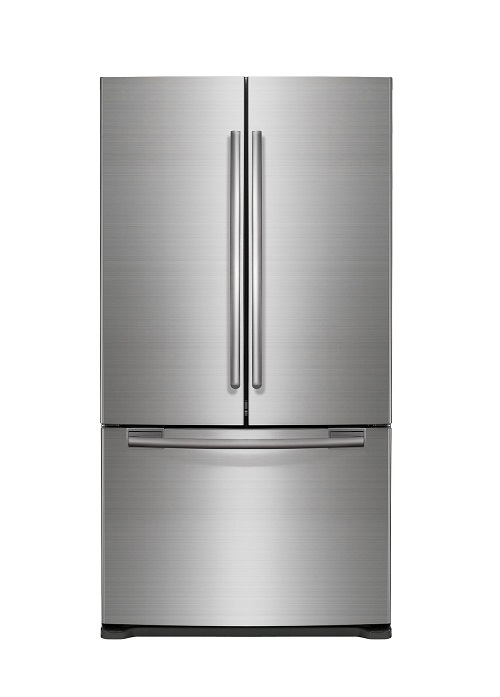 There are big box looking fridges, and there are smaller, sleek looking fridges. It all depends on how much space you have in your kitchen. A broken refrigerator is a huge problem and requires a refrigerator repair as soon as possible. If your refrigerator is not working properly, keep the fridge doors shut and call LA FixIt Appliance Repair as soon as you can. Our team of professional Los Angeles appliance repair technicians is standing by. We are all ready to assist today. Our fridge repair services include same day service and repair and we cover the Los Angeles County. It’s obvious that many folks like to stack up on groceries when they make a grocery shopping. If you’re like many people that shop at the warehouses and buy in bulk, you probably rely on a refrigerator to keep your food fresh for an extended period of time. You’re probably like most people and rely on your refrigerator to ensure quality food. We believe that replacing your refrigerator is not a wise decision if it can be prepared. It’s a sophisticated appliance system that may still have many more good years left. Why throw away a great appliance that’s temporarily experiencing a hiccup in its functioning power when you can get a reliable fridge repair. Ever since the 2008 recession and the 2009 double dip recession, more and more people have been watching their budget. It’s a common practice now and we respect that, which we why we only provide high quality Refrigerator Repair Same Day Service at your request. We work Monday through Saturday, and always have a can due attitude. Out technicians and repair style is transparent. We stress how important it is to be honest and articulate with any job. A refrigerator repair is vital to any household and commercial business. 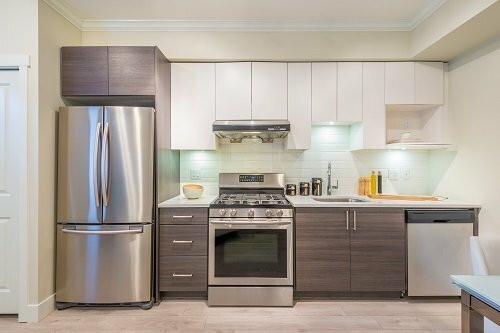 By having a strategic position in Los Angeles as the premier appliance repair Los Angles Company, our efforts is matched with our experience. Our team has a collective experience that matches any great appliance repair competitor in the world. We have been in business in Los Angeles for over two decades and don’t plan on stopping any time soon. 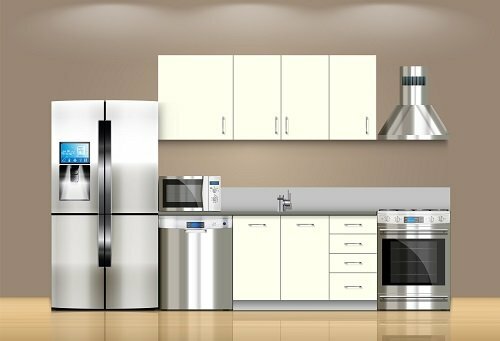 Appliance repair Los Angeles is our passion, and we exhaust ourselves by giving 110% effort with every appliance repair including your refrigerator repair. Did you know that on average, a new refrigerator is more energy efficient than other models. On that note, refrigerators are a lot more stylish, sleek, and have more appeal. Los Angles is known to be a place in the USA that encourages style and design. Los Angeles has become a premier residential community and as such, requires that refrigerator repair Los Angeles services be top notch. It’s imperative for local Angelinos to use the best fridge repair service in town. Not only do we have experience offering refrigerator repair Los Angeles requests, but it’s matched by our love of appliance repair. Appliance repair services have been every LA FixIT technician’s passion since they can remember. It’s a combination of sorts that blend the love of repair. It may come from the art of the design, or from the science of the mechanism, or through the beautiful engineering of the application of the refrigerators. It’s hard to explain, none the less, it’s a feeling that’s there. Professional fridge repair and maintenance is not meant for beginners. Even if you happen to be good at reading manuals and researching complicated information, a refrigerator repair is not for amateurs. Even if you believe you can apply anything you learned, we recommend that you consult with a certified professional for all your appliance repair needs. Remember that industry experience trumps theory and understanding. It’s important to be well versed and keep an open mind; however, undergoing a refrigerator repair for your commercial or residential property requires applied knowledge and experience that can’t be learned in manuals. Our entire certified refrigerator repair Los Angeles technicians are well trained and continue to undergo complex training to resolve any type of refrigerator repair. Our team believes in unity and being a specialist at all times. Our refrigerator repair specialist absolutely love what they do, and enjoy helping the lives of others. It’s always an honor to be able to help a new person out with their appliance repair and create a more quality of life. Whether you have a leakage on the bottom of your refrigerator or your fridge is has no power, all you have to do is call LA FixIt Appliance Repair Services. It’s within our scope of appliance repair that we can repair your refrigerator today. We are able to resolve issues that have associated with the fridge unit not cycling on or on any type of unusual noises. If your door or rack is broken, we can resolve that issue. If the fridge is not producing normal temperature, we’ll able to assess the damages and propose a solution for that problem. A fridge that’s not working efficiently can be a setback. A Broken commercial refrigerator or residential appliance product are always an inconvenience to our lives. LA FixIt Appliance Repair Services is standing by read to fix your appliance. Our rates are affordable and our service is professional. Call or email our home office today and schedule a time for repair.